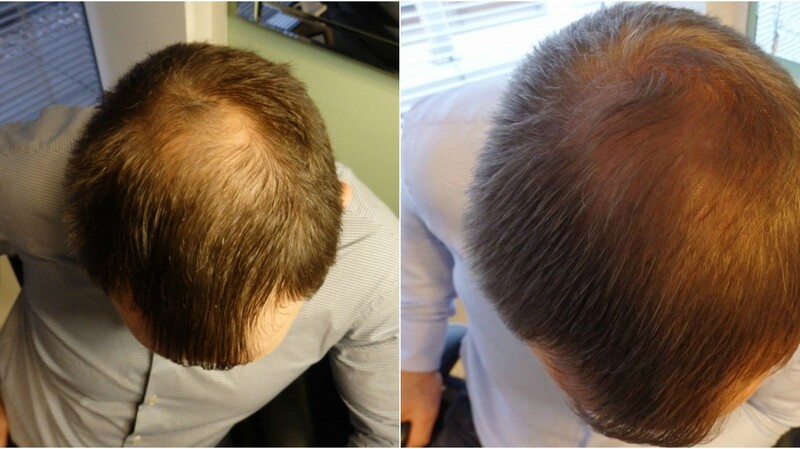 Darius started his treatment with us in October 2015 and was diagnosed with severe androgenetic alopecia, also known as male-pattern hair loss. It begins with slight recession at the front hairline and is followed by thinning on the crown of the head. 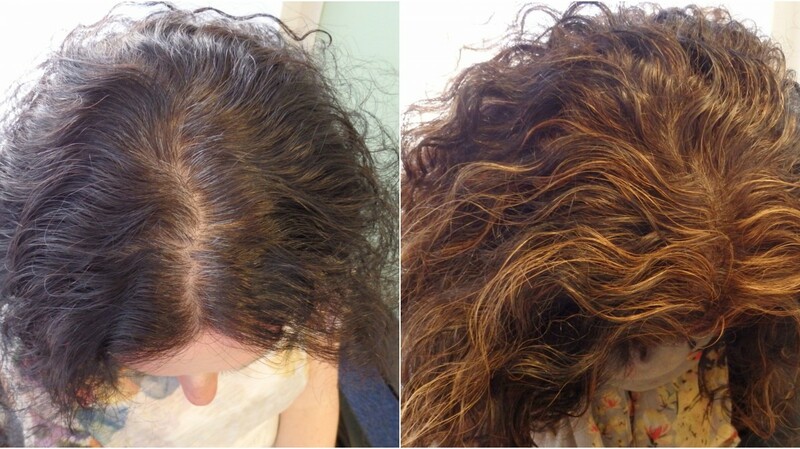 Androgenetic alopecia is the most common hair loss problem. 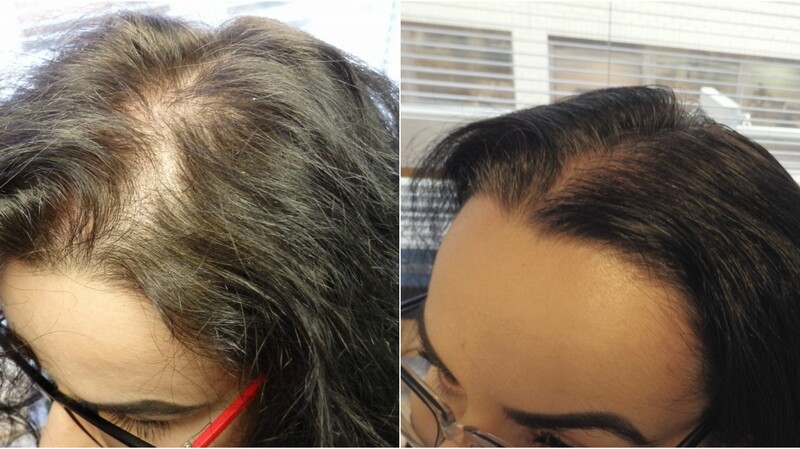 Nikoleta visited us for the first time back in October 2016 and was diagnosed with severe androgenetic alopecia, also known as female-pattern hair loss. She is using our Vitastim and Biostim Hair Regrowth Stimulants and Hair Loss Stabilisers and our specialist shampoo & conditioner. 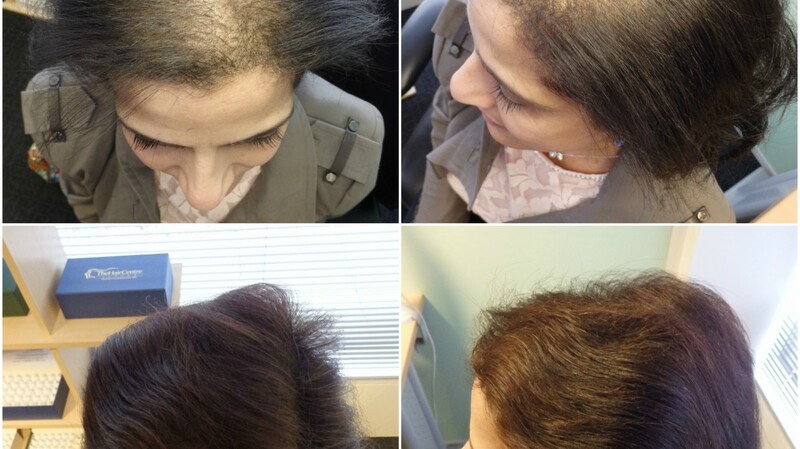 Androgenetic alopecia in women is often linked to hormonal changes with the hair loss following events such as the menopause, childbirth or as a result of stopping or starting oral contraceptive pills. The hair loss is generally more uniform over the scalp than in the male counterpart, but also results from a complex chemical reaction when the enzyme 5-alpha-reductase converts the testosterone in the system into DHT or dihydrotestosterone. The hair follicles are genetically predisposed to be over sensitive to the DHT and become smaller and smaller with time, leading to the eventual hair loss. Just telephone our FREE HAIR LOSS AND SCALP DISORDER HELPLINE on 0207 152 4473 and speak directly to a Trichologist TODAY. The Hair Centre is experienced in dealing with every type of hair or scalp problem. For example, we help people suffering with scalp disorders such as psoriasis, seborrhoeic dermatitis, folliculitis or from hair loss and thinning caused by genetic baldness, dietary deficiency, alopecia or through chemical or physical damage. When you visit the practice you will be seen by an experienced trichologist who will examine your hair and scalp closely and check through your hair loss history thoroughly. Once the diagnosis has been made, if treatment is recommended, we will be able to provide you with the most effective and up-to-date trichological treatments for home use. All treatments and products supplied are formulated especially for the Hair Centre by our own trichologist and chemist. They have been specially designed to ensure we can target disorders of the hair and scalp effectively. All ingredients are extensively researched and meticulously sourced to make sure that our treatments and products are of the highest standard. We are open for appointments Mondays to Fridays 9am – 6pm. Just telephone our FREE HAIR LOSS AND SCALP DISORDER HELPLINE on 0207 976 6868 and speak directly to a trichologist TODAY. We look forward to seeing you in the practice soon.